Week 20 is here, and there are a handful of aces getting two starts this week. Gerrit Cole, Michael Wacha, Francisco Liriano and Cole Hamels are all getting the ball twice this week. It is the perfect time as well, coming down the stretch things are heating up. There are a few guys I am sitting this week, so keep an eye on them! There are no major concerns for any of the aces going this week, but some risky starts. 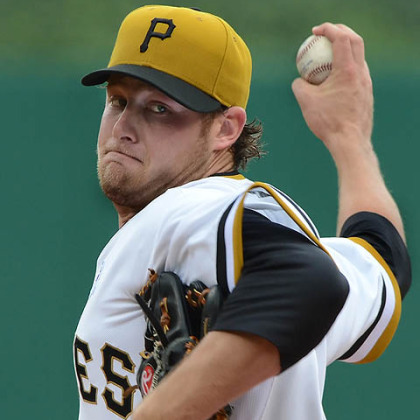 Gerrit Cole gets two starts at home, which is a boost, but does face top ten offenses. With a 2.48 ERA, and 14 wins, I am not worried. Dallas Keuchel is another one facing two tougher offenses, but with what Keuchel has done at home, I once again am not worried. He has a 1.26 ERA at home, and is unbeatable. Cole Hamels might be my one issue, and his ground could flair up, so keep an eye on that. Outside of the no-hitter, he has been awful in four of the starts, allowing 23 earned runs. He will face Seattle, who just teed off on him, and he will take on the Tigers, who regained Miguel Cabrera. If I own him, I am rolling him out, but would not be shocked if he had another rough week. The Giants have been known to feast on star pitching, sending plenty of aces to the showers early. Michael Wacha is taking on San Francisco in his first start, drawing some concern there. Wacha has rebounded off of a somewhat mediocre July. If he does have a rough outing, he will likely rebound in his second start against the Padres. Francisco Liriano is in the same boat, facing the Giants in his second start. Tier two is really where we are going to sit some pitchers on the bench, a lot of tough matchups. First things first, Jordan Zimmermann heads to Coors in his first start, and he will take a seat on my bench. Not worth the average start if he ends up pitching well, but I don't think he is good enough to keep the Rockies at bay in Coors. Jake Odorizzi is another risky start in Houston, he has improved his fly-ball rate, which has been the big issue with him. Astros rely heavily on the long ball, and I believe this could be a dangerous matchup for Odorizzi if the ground-ball game isn't there. Andrew Heaney has a great matchup against the White Sox in his first start, and then heads to Toronto in his second. He will take a seat for me against all right-handed bats. Trevor Bauer and Danny Salazar are both risky starts this week against the Yankees and Red Sox. Salazar is in Yankee Stadium, and is incredibly home run prone, allowing a homer in four of his last five starts. Tack that in with his walk rate, and it could be an issue. Ten runs, five homers allowed for Bauer in his last two starts, and one coming against the Yankees. That will not give me any confidence for using him this week. The Sox have shown some life, so could be trouble for both. Taijuan Walker has flirted with being a tier two pitcher, but really is more so in the tier three range. He has a sit-worthy start against Texas, and then is back home against the White Sox. He is a one-and-done for me this week, I will take the risk at home against Chicago. Carlos Rodon is an interesting pick up for this week, he will face the Angels and the Mariners on the road. The only knock against Rodon is his walk rate, and has been inconsistent. Both offenses are mediocre against left-handed pitching, and I like his upside for strikeouts. He threw seven scoreless against the Angels just this week, with 11 strikeouts.